Of all the pests that invade customers’ structures, bed bugs (Cimex lectularius) often carry a stigma unmatched by even cockroaches and rodents. Pest management professionals (PMPs) who show compassion toward prospective customers may earn their loyalty and general pest control business. After all, professionals know bed bugs often are no reflection on the people whose homes or businesses they inhabit. Bed bugs are out for blood; they don’t care whether their victims are rich or poor, dirty or clean, intelligent or uneducated. “Offer reassurance that you want those pests dead as badly as they do, because there is nothing fun about finding and destroying bed bugs for you, either,” Komor adds. 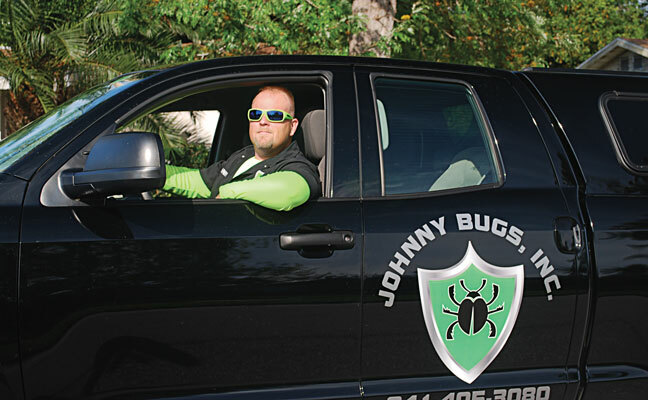 Bed bug business is increasing for Johnny Bugs, and Komor expects that trend to continue. Komor says he strictly adheres to a simple, yet thorough, assessment and treatment protocol that continually reinforces value to customers. But that’s not the only way he builds the bed bug segment of his business. He tries to steer them to professionals who have more training, field experience and tools to eliminate bed bug infestations before they get out of control. Because prospective customers do not have years of training and experience, PMPs often gain new customers when people try, but fail, to eliminate bed bugs themselves. After 23 years with Clark Pest Control in Lodi, Calif., Account Manager Foster Brusca has seen his share of customers like these. He has been dealing with bed bugs head-on in the San Francisco Bay area for the past 14 years. “Bed bug service calls continually come in, and we are finding more times than not that we are being called upon to fix a bed bug infestation that either a customer could not control with self-treatments, or that another company failed to get under control,” he says. Brusca, who has built a large customer base over the years, says he and his team strive to provide service in an ethical, professional, responsive and caring manner. Clark Pest Control markets its bed bug management services to commercial and residential customers. It offers existing and prospective commercial customers an educational seminar each year, where experts share their knowledge on bed bugs, as well as the legal ramifications of dealing with the pest. But the education extends to technicians, too. There’s an ongoing learning curve for bed bug control, and PMPs must be willing to put in the time and energy to learn about the latest research and management methods, he says. The company uses the most up-to-date techniques available for bed bug management and general pest control. Ralph Citarella Jr., BCE, president of Bayonne, N.J.-based Bayonne Exterminating Co., says he believes bed bug control will continue to be lucrative for his company — and the pest management industry — for quite some time. The company handled its first bed bug job in 2001, he says. Because the company is located in a densely populated urban area outside of New York City, with a high proportion of immigrants, Bayonne Exterminating experienced the rising tide of bed bugs early on. For difficult infestations, the company has used canine inspections hand-in-hand with treatment teams. Its basic bed bug control service features an integrated mechanical, chemical and cultural program that includes a three-month warranty and a minimum of three treatments. For multi-housing accounts, it’s a cooperative program, Citarella says, as technicians try to educate both residents and landlords. Citarella says bed bug management opens up the company to new clients and markets, and provides business year-round. “We’ve had several customers, both commercial and residential, hire us for bed bug services — only to add on general pest control or other services afterward, as they were impressed by our bed bug control program,” he says. Companies looking to expand or develop bed bug management services should focus on maximizing profitability and ignoring gross sales volume, Citarella advises. “It’s also important to minimize liability, and I think one of the best ways to do that is through constant education of both staff and clients,” he says. Making sure contracts, prep sheets and other information are sound, properly delivered and verified also is critical. For Sandy Honess, president of Ladybug Pest Management in Delmar, Del., bed bug control has been lucrative since she started offering it in 2010. Her team, she says, is successfully positioned as bed bug specialists. Typically, two technicians take on every bed bug job so they can lift mattresses and move furniture. Plus, it helps to have another pair of eyes during an inspection. They create Bed Bug Action Plans for each customer, and always recommend proactive procedures and tools, as well as treatment and control options. The company is known for having a quick customer response time. “Because my husband, Frank, and I are the owners and in control of our time, we can offer service after-hours or on weekends if necessary,” Honess says. Customers include local hotels and other hospitality organizations, as well as apartment communities. The company offers bed bug educational training and workshops for hotel staff, and landlords and tenants in rental communities. 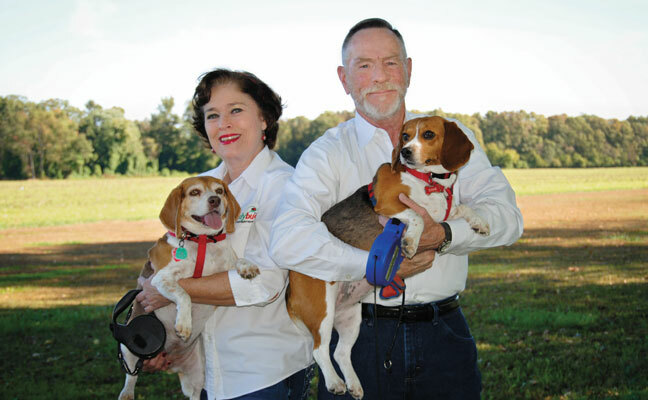 Bed bug management and bed bug detection canines have enabled Ladybug Pest Management to find its niche in the pest control market. Despite PMPs’ best efforts, bed bugs will not be wiped out of existence any time soon. Some archeologists believe bed bugs have been around for at least 3,550 years. Beating these little bloodsuckers will take time, education, cooperation and compassion. Although bed bugs do not spread disease, they may have lasting psychological effects on the people who have them. An entry in The Journal for Nurse Practitioners addresses the impact bed bugs have on mental health. The stigma associated with these pests is very real for those who have them, as they may experience shame, social isolation, fatigue and depression. The article, which is titled “Bed Bugs: Current Treatment Guidelines” and was published in June 2017, says bed bugs are known to cause anxiety, emotional distress and sleeplessness. Extreme reactions may include the exacerbation of previous mental health issues, psychiatric hospitalization, or suicide. In addition, visible bed bug bites may affect a person’s self esteem and ability to work. In some cases, treatment may be needed for the structure and the customer. Pest management professionals should stick with what they know and refrain from attempting to diagnose their customers.